Chalet L’Orchidée is an excellent modern chalet with stylish décor and a fantastic large spa area for the sole use of Orchidée guests. 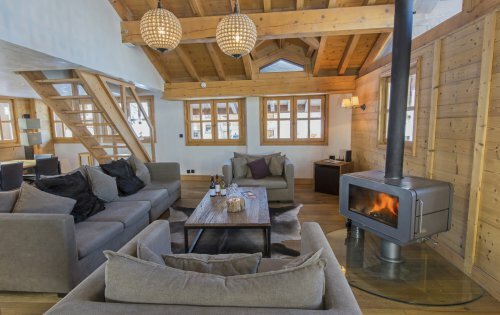 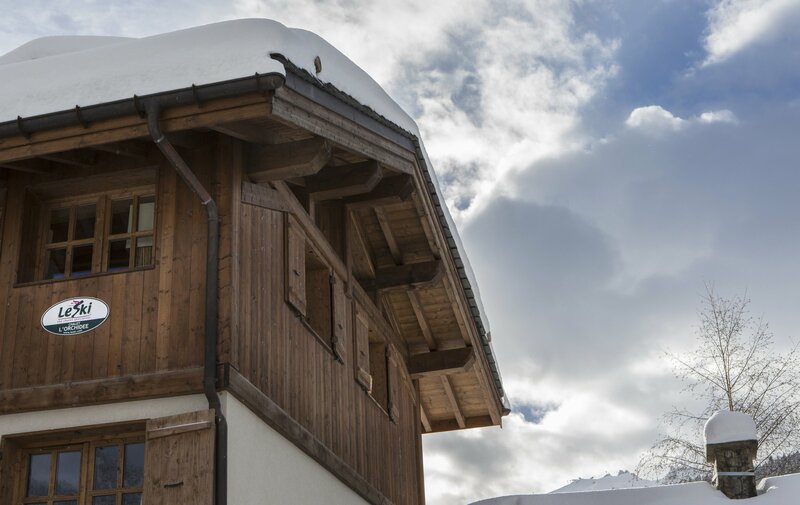 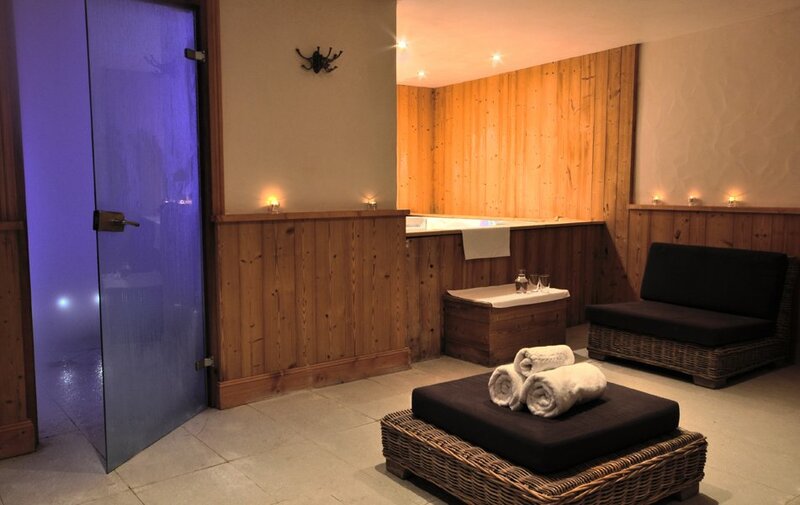 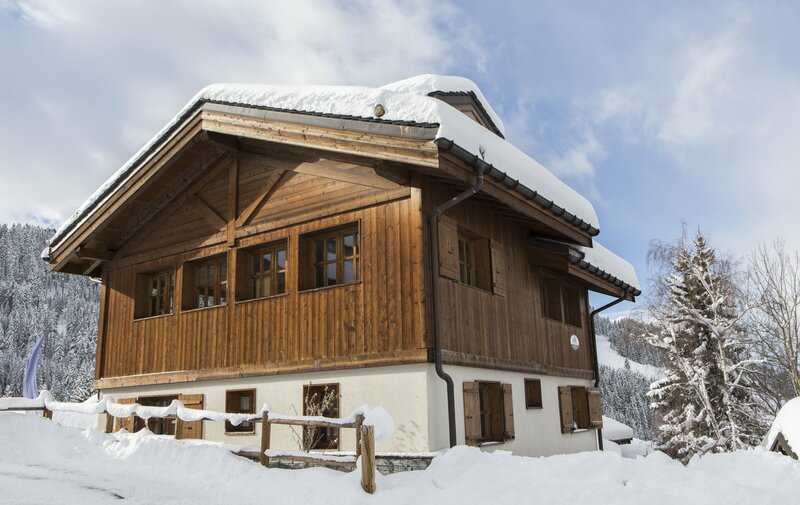 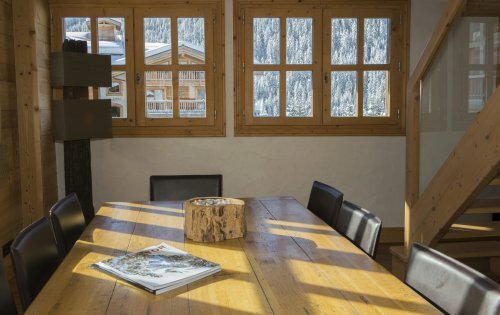 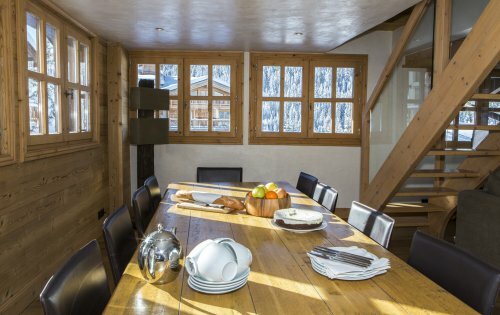 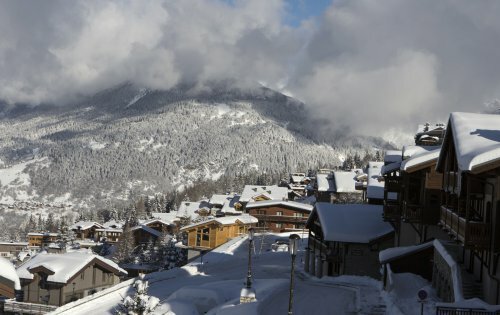 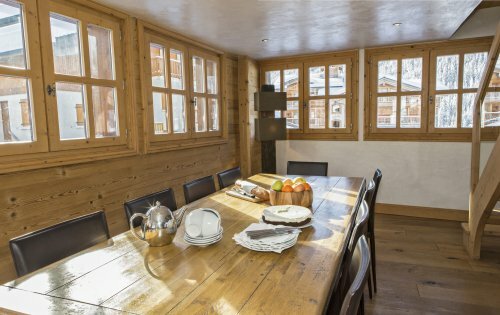 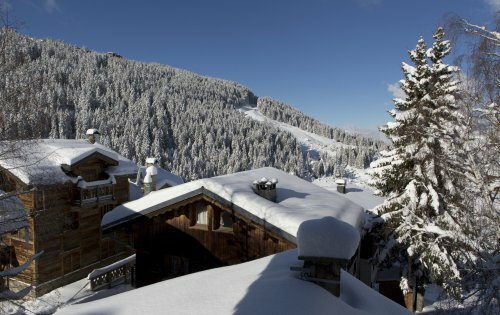 This spacious chalet was truly built with relaxation in mind: after skiing you can sit quietly with a magazine in the spa area, ease your aching muscles in the huge mosaic-tiled steam room or sink deep into the hot tub before an aperitif in the lounge in front of the stylish wood burning stove. 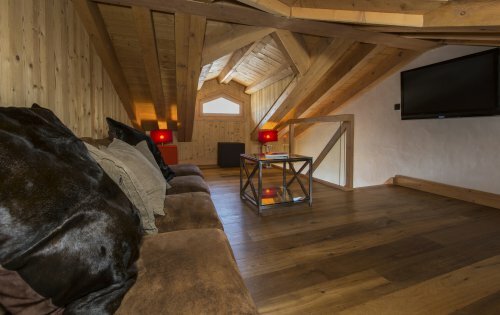 After dinner, or to keep the kids occupied, the mezzanine level has a huge flatscreen TV on which to watch DVDs. Orchidée is an extremely popular chalet so get in while you can! Lower ground floor: Spa area with steam room, hot tub, shower, relaxation area. Ground floor: Entrance, boot room with warmer. 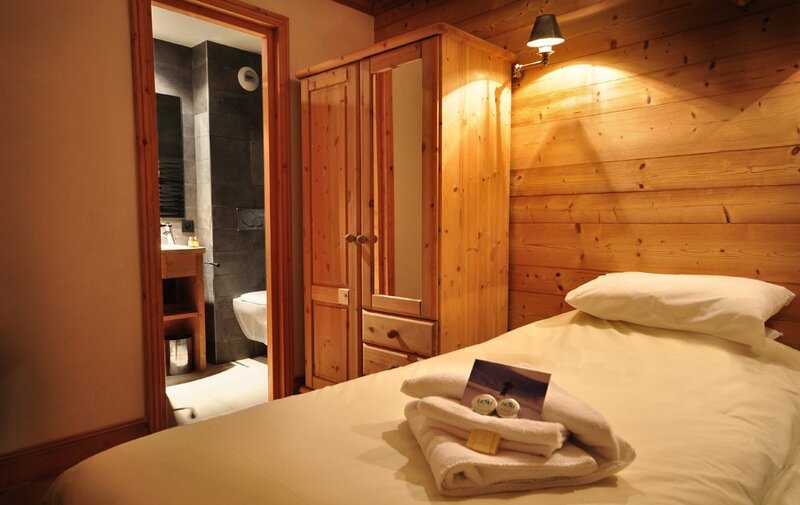 1 double bedroom with shower, basin & w.c.
1st floor: 1 twin bedroom with shower, bath, twin handbasins and w.c; 1 twin bedroom with bath and hand-held shower; 1 twin bedroom with shower, basin and w.c.
2nd floor: large lounge/dining room and kitchen. 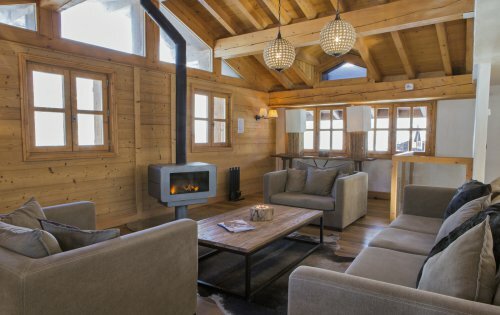 Log fireplace.